Cardiff Devils missed the chance to take a giant step towards the Elite League title as Dundee Stars shocked the league leaders with a 3-1 win. Jordan Cownie's goal gave Stars an early lead before Brian Hart doubled their advantage in the second period. Mark Richardson pulled one back for the Devils late in the second period as they threatened to start a comeback. 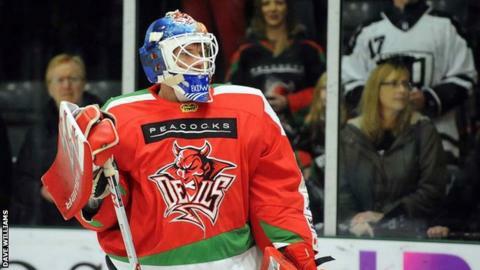 But as the Devils chased an equaliser the Stars sealed the win with a minute left to play through Lukas Lundvald. Belfast Giants' 5-1 win against Sheffield Steelers means all is still to play for in the race for the Elite League title with the Devils' lead at the top narrowed to just four points. The Devils still have control of their own destiny though, two wins in their final two matches against MK Lightning and Coventry Blaze would seal a third successive title.